When you click on one of these badges, a pop-up will appear with some sample code showing you how to integrate the badge into your page. These are some examples for the most commonly used meta languages such Markdown, Textile, RDoc and HTML. We have badges for every Java, PHP, Ruby and Node.JS open-source library you can find using the public search on VersionEye. In addition, we offer these badge for your private projects at VersionEye. 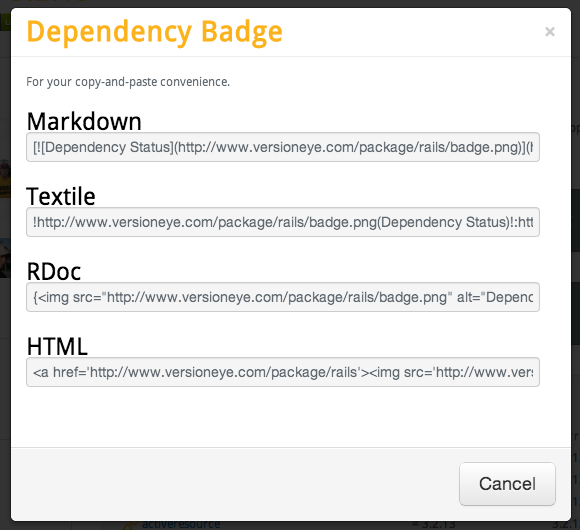 And as soon as you turn your VersionEye project public, you can embed the badge into other pages as well. 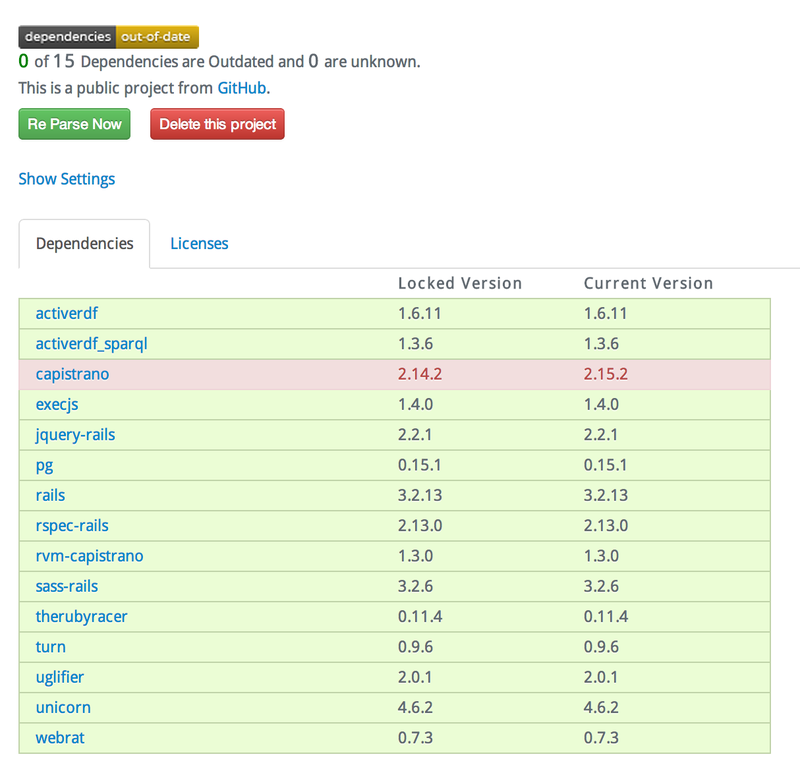 We consider a project to be stable if all of its dependencies are using the latest stable version. Not to mention it will confuse the users with the existing gemnasium badge! I will open a ticket and ask for unique shields to avoid confusion with Gemnasium.